Even though it’s summer, this winter-inspired styled shoot has us dreaming of long sleeves and winter whites. With a nod to tokens of winter style, this inspiration lends itself to not only classic hues but inventive florals and décor that bring new life to old man winter. The bride dons a tousled updo that is flirty, yet gorgeous and complements her light, natural makeup. In a lace A-line gown, she clutches a sprawling bouquet filled with white lilies, ranunculus and more to create a dynamic white floral design. The back detail of her first gown is exquisite. It features a sheer panel with lace floral appliqués, a row of buttons and fluttery sleeves that can be pulled forward or back. 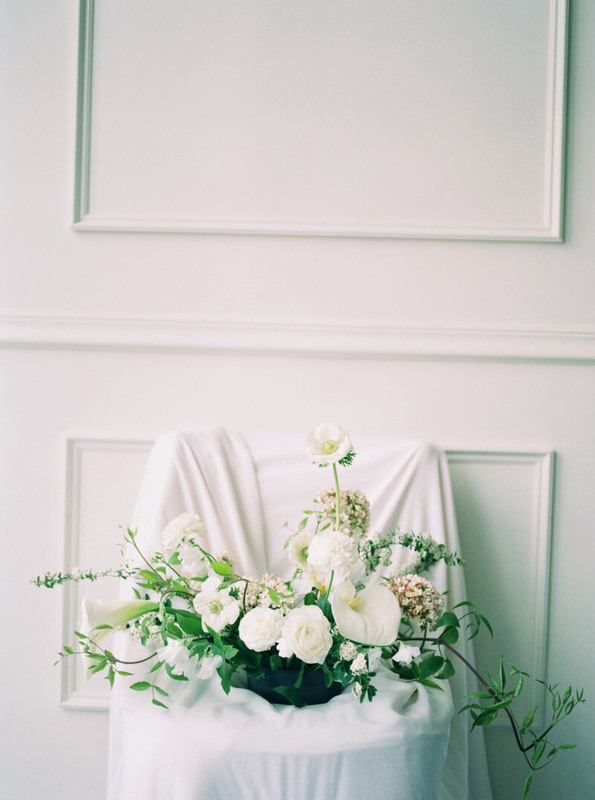 Set against the classic white interior of the room, she looks statuesque. Her intricate updo is also adorned with a floral headpiece that stands out against her raven-colored hair. A groom, dressed in a striking dark blue suit with a complementary blue tie, joins her in the whitewashed room. 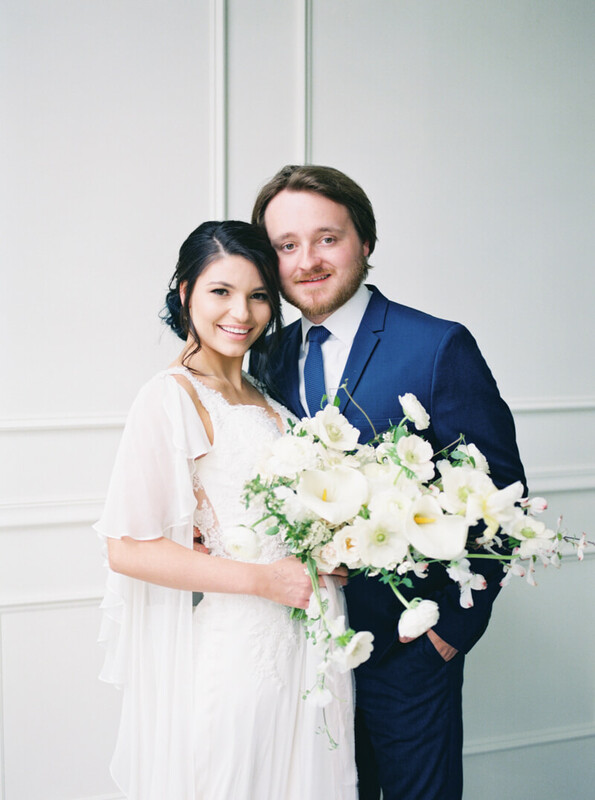 They are happy and content as they share a sweet moment before settling in to celebrate their union. A reception table covered in white features an eye-catching centerpiece filled with dainty white flowers on nearly-bare branches. It’s nestled among clear dinnerware and white candles. 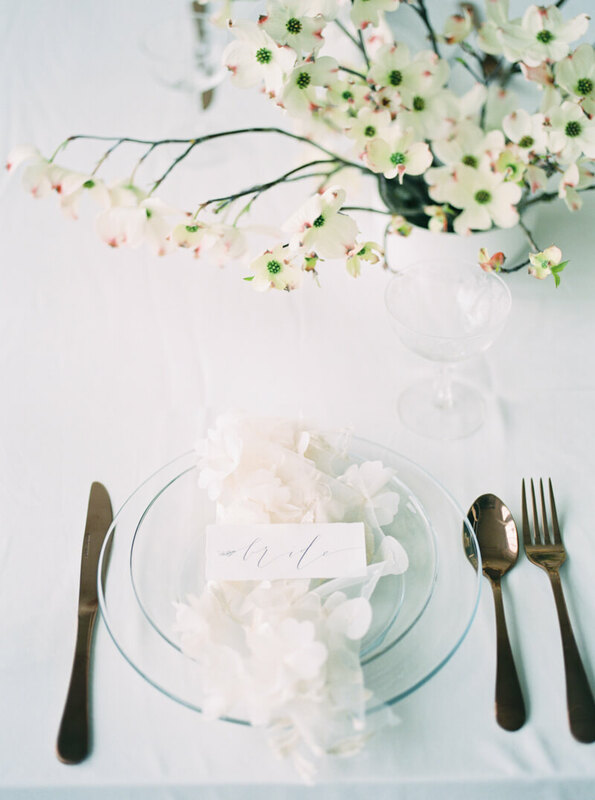 Using texture as inspiration, place settings also include dramatic napkins with delicately scripted place cards. 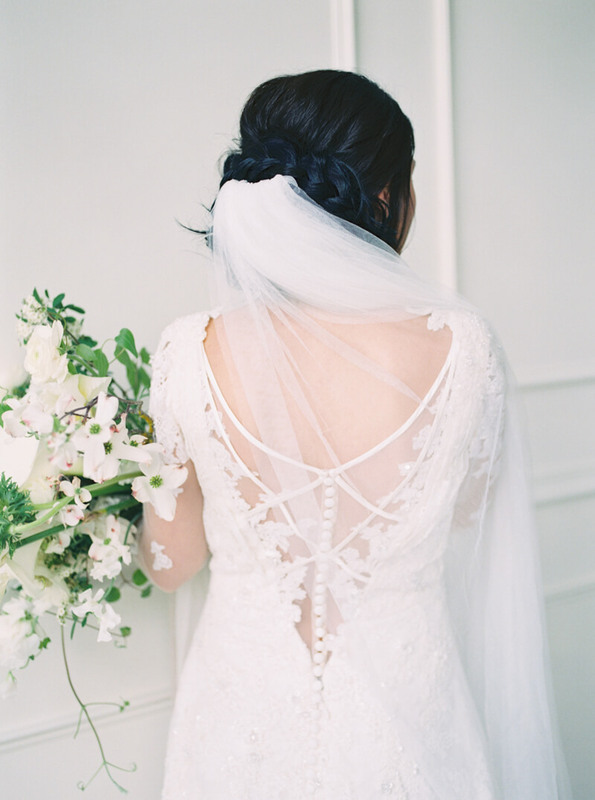 The lace detail of the bride’s long-sleeve gown is the epitome of winter elegance. Choosing a long-sleeve lace gown for a winter wedding is not only pretty – it’s practical. 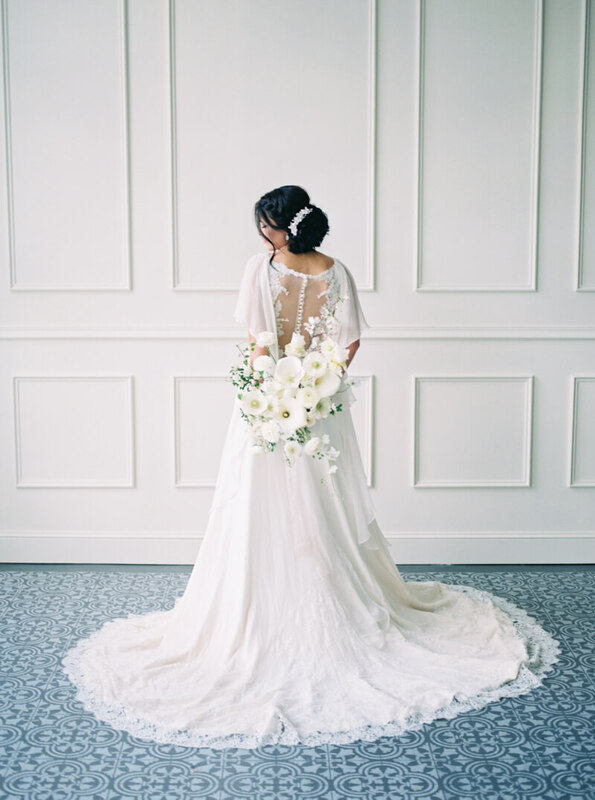 She pulls her long veil aside to show off the open back of her second gown, a modern crisscross design finished with silk buttons and lace. The bride looks as if she’s soaking up the season, enveloping herself in the long white veil she adores.